A faith-based charity doing good deeds. Hurricanes can’t stop God’s work. Good Samaritans are everywhere. Our sisters, brothers, and furry creatures down south are suffering in the wake of hurricanes Harvey and Irma. So the Masterpiece Fund’s stewards are using our blessings from donations this year to help two organizations who are fulfilling God’s call for us to care for those in need. One is called God’s Dogs Rescue and the other is Samaritan’s Purse. We pray for the people who lost loved ones, homes, and treasured possessions. We count our blessings and hope that these donations will help not only feed and care for them but to also lift their spirits. In the midst of the disasters we’ve seen volunteers, neighbors, and other rescue workers digging in to help each other. This is the kind of world we need to live in. Let’s keep reaching out to help each other—not just during disasters but every day as we go about our normal routines. Here is some information on the two organizations we sent grants to. Please consider donating to them or to the Masterpiece Fund so we can use that money plus the interest it generates to spread the love. 100% of your donations go directly to worthy causes. The Masterpiece Fund desires to help all of God’s creatures and we are a family of animal lovers. The recent hurricanes in Texas and Florida left a lot of dogs and cats without homes. One rescue organization in Texas is helping out and fulfilling God’s call for us to care for the needs of our animals. Serving all over South Texas, they rescue and foster abused, abandoned and neglected dogs until they can find their “furever” homes, whether in Texas or throughout the US and Canada. Here is a nice video about them. When the hurricane Harvey hit Texas in 2017, Samaritan’s Purse put five disaster relief units in place on the ground helping our own U.S. sisters and brothers in need. When Irma hit Florida, they were there as well. Samaritan’s Purse has excellent ratings for charity’s who are managed well and who use a vast majority of money from donations to directly help those in need instead of on administrative costs. They effectively put actions behind their mission to follow Christ’s command by going to the aid of the world’s poor, sick, and suffering. Five years. Healing. Hurt. Love. Faith. Five years ago today I lost my only sibling and someone I loved and admired very much. During those first weeks and months the tears flowed endlessly and still today, the pain is just as intense, but it comes less frequently (although still too frequently). I once read someone’s account of losing a loved one and it was spot on. Grief is like a tsunami that pours over you with enormous pain. In the beginning, the waves come regularly and frequently. Over time, the waves come less often but the intensity of pain when they hit is still as strong as those first hours and days. Much has happened since that awful day. I wonder what Greg’s life would be like if he had lived, and as much as I would wish him back in my life, I wrestle with knowing he is healed and where he ultimately intended to be—with our Lord in Heaven. Recently a friend from my small group in church passed away. She was a mighty athlete competing in iron man challenges, but unfortunately was diagnosed with a somewhat rare and terminal disease that took away her abilities to live in the manner she was used to. We prayed for several years for a cure so she could be healed but in the end she went to the Lord too soon. Later, my wise small group leader said our prayers were answered because when she went to Heaven she was healed. She now has a glorious new body and feels no pain. I remember many prayers I asked God for concerning my brother. I wanted his relationships to heal, his body to heal, and for him to find peace and happiness. And while he left us too soon, God healed him. He now feels no pain, he is with our Savior, and is awaiting us all in the Kingdom. My parents, his children, and I miss him every single day. He was a glue and stable force in our lives. He was an amazing role model and I really wish he was still around to be an example of God’s love in his children’s lives. The way he lived his life and accepted me for who I was and his love led me to seek Jesus as an adult. God was in my heart but I was wandering lost for many years until my adult relationship with Greg took off and I saw how God could bring peace, a feeling of content, fun, and love in my life. He affected many people in a positive way through his mission trips, work with Campus Crusade for Christ, volunteering at church, and being a solid base of support for friends, family, and others who just happened to cross his path. Greg’s kids and our family and his close friends meant the world to him. He struggled those last years of his life, but was giving his all for his family regardless of how life was hitting him. I will never forget God giving us that last day. Greg called to ask me to come up to visit for no reason—just hey let’s get together. That was a week before he died. I really felt like God gave me that last day to see him and have fun before we would be separated for the decades I would have to live without him before God called me home. I still spend nights crying because he is gone and because of the fall out of being separated from some of my family members, and for the kids and my parents missing their father and son. But, I will always be grateful to God for giving me the best big brother a girl could ask for. In Greg’s memory, our family created a charity called the Masterpiece Fund. We are honoring the character and principles my brother stood for by giving funds to people throughtout the world who need love and support. Greg’s last bible study included a scripture reading from Ephesians 2:10 which inspired the charity. The pain of loss we feel when loved ones die is why we must remember to respect all life. Whether friends or strangers. If death of loved ones didn’t hurt so much we would not respect life at all. I think we need to remember that the death of strangers is as much of a pain to someone else as our loved one’s passing means to us. In honor of Greg, let’s remember what Jesus asked us to do. Your generosity is another person’s miracle. I’ve been coming across many references of God’s and Jesus’ miracles recently. For example, I visited many sites of their miracles on my trip to Israel this summer, our current series at church is based on my pastor’s latest book, The Grave Robber, and my small group is discussing a bible study called Miracles: Signs of Gods Glory. Today Pastor Mark was taking about the miracle of the fish and loaves. I love this miracle and it is an inspiration behind my family’s charity, The Masterpiece Fund. We believe that God will multiply the generosity of others so that we can bless more and more people who need support and comfort. And while Pastor Mark preaches about how much more we will be blessed the more we give, he makes sure to note that this is not a get-rich-quick scheme and the blessings may not come back via financial returns. Blessings come in many forms—a sense of what is important in life, becoming content in what you have and not chasing after material things, the spiritual lifting of your heart knowing you’ve helped another person, and yes, sometimes God just plain provides what you need, just when you need it. I have witnessed God’s blessings many times. There have been many stories from people I know who with an ounce of faith were rewarded many times over. Here are a few examples. About 10 years ago, a friend of mine was suffering from cancer and was unable to work. Our friends created a fund to help his family pay some bills while he was getting treatment. One friend only had a few dollars left in her checking account, but felt overwhelmed by a sense from God that everything was going to work out. He had always provided for her and she just knew by faith that it would work out and it did. A week after she sent that check, her boss told her she was getting a mid-year promotion and a raise. Another friend lost his job a few years ago. Even though he was out of work and cutting the budget pretty deep, he continued to tithe. He kept watching his spending and praying for a job, but he also had faith that somehow God would take care of him even though the savings was drying up. Just at the time when the checking account was about to empty out, he received a significant financial gain via an insurance policy that had been contested for two years. It came at the exact time when it was most needed. About 2,000 years ago, a little boy who most likely was poor, offered up his lunch to Jesus. Jesus used that little boy’s generosity to multiply those fish and loaves to feed thousands of people. Multiply is the key word here. God can do more with our small offering than we can possibly imagine. Don’t discount Him—after all, with just a mustard seed of faith, He can move mountains for us. We each have gifts we can offer. Sometimes it’s financial and other times it’s giving our time, support, love, a shoulder, a place in our homes, a phone call, a laugh, a prayer, help repairing a faucet, carrying a heavy load, healing a broken arm, and so much more. Anything you can do to give that will benefit someone—whether they are a rich neighbor or a poor orphan—your kindness is making our world a brighter and more blessed place to live in. Go ahead and test God on this. Give with your heart for the purpose of glorifying God and helping others. Keep a gratitude list and pretty soon you’ll start seeing the blessings pouring in. Be someone else’s miracle. Here are a few ways you can be part of the loaves and fishes miracle that continues today. This fund invests the generous donations of people like you and uses the interest gained plus the donations to give to Kingdom causes. In its first year, we have given to the International Justice Mission, The National Community Church’s Dream Center, and the New Life Bible Camp. This organization partners with coffee growers in highly distressed areas such as Columbia and buys their coffee at above-market prices. These farmers are able to get out of growing coca (cocaine) leaves and help restore their communities and share the Gospel. There are a number of mission trips that are organized by members of National Community Church. These mission trips help people around the world. For example, a couple of weeks ago, I found myself in tears as I witnessed three beautiful girls standing up front next to one our campus members testifying to their faith. Our church member missionary makes frequent trips to Nigeria to help the people there who are being persecuted and in this case, kidnapped and harmed. A few months ago, terrorists captured 300 young girls and held them captive. The world was appalled. Three of those young women had great courage and jumped from moving vehicles, leading several other girls into some scary woods where they trekked for several days before finding safety. And now they are safe in Virginia with hope for a wonderful future because of missionaries willing to go into these violent regions. What do you get for doing good? Nothing. Or Everything. I was thinking this morning about why we call today Good Friday. Every time I think about what Jesus endured for us, I admittedly feel ashamed and sad. I’m very grateful and love Him for his sacrifice but it’s a little hard to think about how ugly we are and how brutal we can be to each other. It’s hard to think how that is good. Christians know why it’s good. Because He saved us. He showed us mercy. He began a new day, a new covenant, and now we can have a direct relationship with God and hope for eternal peace and love. That’s not good, that is AWESOME! After pondering that some, I began to move along in my day and saw this video online (see it below) about a guy who spends his day giving of himself, his time, and his money and doesn’t get any tangible rewards in return. What he does get is love and gratitude from those he helps. He also gets to see how his actions positively affect the world around him. I know it’s some kind of Thai insurance commercial but it was touching and it made me think about Philippians 4: 8-9. It’s a great way to live and an attitude like that will help bring you peace and contentment. We can’t save the world the way Jesus did, but we can do a little bit each day to help those around us. All Jesus asked us to do was to love God and love each other. May you all be blessed on this Good Friday and know the love of Jesus and accept the gift He gave us on that Easter Sunday so long ago. Do you have junk in your trunk? Sometimes when sitting in church, I wander a bit during the sermon. My mind goes to all sorts of places—some spiritual and some secular. And sometimes during those moments I get brought back with a proverbial slap and think, “WHAT?” The pastor said something huge that convicted me or recalled a memory that elicits an emotional response. And sometimes he says something that I never thought would come from the mouth of a spiritual leader. My immediate reaction was, “Did he just say that? I wonder if he even knows what that means.” He’s a pretty savvy guy who is very connected and aware of trends and current events and knows how to communicate with both young and mature audiences. Hmmm. After a minute (of what I’m sure was some silence after some awkward laughing) he said to take that literally. Okay, yes, if that’s the case, I have an enormous amount of trash, laundry, dog food, bags, soda, wood, and empty bags of chick-fil-a all strewn about my car. A little like my life, so okay, I’ll use that analogy and not take it personally that my pastor thinks I have a huge backside. Which I do, but that’s irrelevant. God loves all of me. Anyway, fun aside, the message is clear and comforting to those of us who don’t quite make the grade of perfection. But that’s the point. Jesus was perfect and he gave himself up for us. That is what makes the gift worthy. We are not perfect. And no matter what your sin, don’t give up. God forgives everyone. Even Cain, the first murderer, got a break. God forgave him and protected him from the angry mobs, and Cain went on to have a productive life—a family, career, and a life worth living. Do yourself a favor. Don’t compare your life to anyone else’s. It’s a losing battle. There are 7 billion people on this planet. Almost all of them are much poorer than you are. And there are people who seem better off. But you don’t know what is going on in their life, in their hearts, in their heads, or in their relationships. The only thing you should be concerned with is your relationship with God. He really doesn’t ask much of us if you think about it. Accept His gift and love Him. Then just try to be good. You can’t be perfect so don’t condemn yourself or give up. Just clean some of the junk out of your trunk and keep moving. 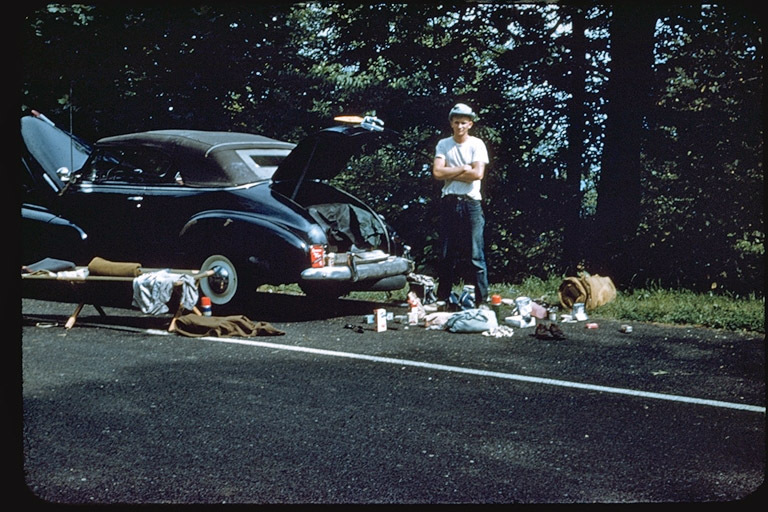 John Crowe on a road trip circa 1960s. John went on to lead a monastic life, with very few possessions and a strong commitment to God. In memory of Greg Crowe. 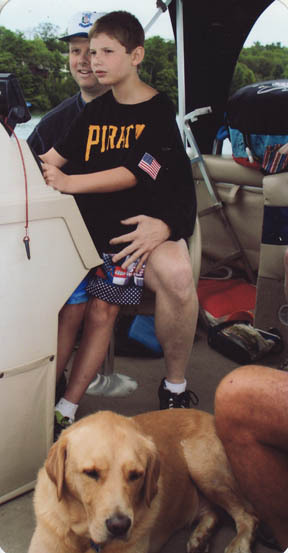 The Masterpiece Fund was created to honor Greg Crowe, wonderful father, son, brother, and friend, who passed away on March 12, 2012. The purpose of the Fund is to help people in dire need and spread the good news of the Kingdom. Please visit www.masterpiecefund.org for more information or to make a donation. Please also pray for the fund to succeed and to be used for God’s will. Finally, I ask you to “share” with all of your friends. Post the link on your accounts (facebook, twitter, Pinterest, Instagram, blogs, websites, etc.) and send emails to your friends so that others can be blessed by the resources offered. If you have suggestions for resources (books, websites, etc.) please share them with us. Greg had a powerful impact on a lot of people. And he surrounded himself with some pretty awesome friends who have been incredibly kind to our family, especially his children. We are grateful for the men and women who are acting as Christ-like role models for the kids so that Greg’s lessons and dreams for them will remain at the forefront of their thoughts. It was very important to Greg that his children know the love and grace of God. On this second anniversary of Greg’s homeward journey, the family composed their thoughts about Greg. If you have stories, or want to share something about Greg, please make a comment below so his memory will continue in our hearts. Greg was always ready for adventure. From his childhood throughout his life, his adventurous spirit took him to places such as the wilderness of Wyoming with some high school friends on a National Outdoor Leadership School (NOLS) trip to the mountains of New York with his kids to missions near and far. He learned some serious survival skills that helped him when he lived in poor conditions during Campus Crusade missions in Communist-ruled Moldova, Romania, and Yugoslavia, where he helped people come to Christ and encouraged the Christians there. He loved playing sports with friends and with his kids, coaching their teams in soccer. He loved driving boats and pulling the kids on tubes and taking them to the sandbar in Walloon Lake, Michigan with the dog to play. And at night when he built a bonfire, it was always big and we feasted on s’mores. His spirit showed in his humbleness and gentleness more often than not and his nature matured in his solid foundation of Christ abiding with him. His adventurous spirit lives on in his family and our memories. In movies, it seems like the dad is always telling the daughter to put something appropriate on. My dad did in fact tell Julia, Harmon, and Tyler to change on numerous occasions, like telling Harmon it was okay to wear different clothes after three days. Well my dad let me wear anything—sweat pants to church, flip flops in the winter—pretty much anything. Except the swishy coat. One time, when we went to a meeting and I had that coat on, you could tell it annoyed him. Before we went to the next meeting he looked me straight in the eye and said, “You need to change.” Sweat pants, okay. Ripped jeans, okay. Swishy coat, not okay. And then the only other time I happened to be wearing it, was when I went to his church. I had to get up in the middle of the service and while I was in the bathroom, he texted me and said I was never to wear that coat again. Those movie dads were lucky they didn’t have kids with loud swishy coats. I want others to remember my dad by the fact that he often put others first. 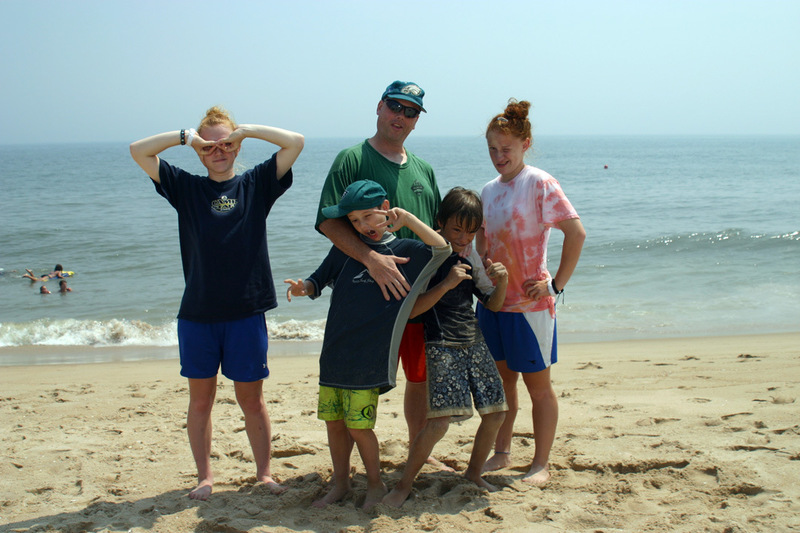 Julia’s favorite memory of papa was when he would do funny imitations of mom and Tyler at the dinner table. “Papa cared more about his kids than himself,” she says. Author’s note: As a side note to Tyler’s and Julia’s comments, I can agree that those trips in the car and dinner conversations were super fun. There was a lot of laughing and singing and quoting of movie lines. For many years I followed my big brother in everything he did. Why, I don’t know. He used to wrestle me to the ground and pick on me and leave me to catch the heat for “all the noise that was going on.” When Greg moved away to college I was thrilled to have the house to myself and even semi-moved into his room and enjoyed sleeping on his water bed. Yes, Greg had one of those cool, 80’s water beds. My peaceful domain was shattered when he returned for the holidays and ate all the food in the house, making me count the minutes until his departure. Years later I regret wasting those moments. But God gave us some wonderful years together as adults. Time to become close friends and time for me to see the light in Greg shine through. His character was such that he accepted and loved others regardless of their relationship with God. I saw that kindness and how much he loved his family and loved playing with his kids and I knew I wanted that, too. So I followed him again. This time becoming a fan and follower of Jesus. One of the things I miss about Greg is his giggle. It’s contagious. I’ve embeded two videos Greg took of Julia and Zenia as kids and at the end you can hear Greg’s giggle. Glad to have that forever to listen to until we meet again in heaven. Random acts of kindness from our youth. It seems to be a season of giving. My church recently did a series on giving and I’ve been seeing a lot of examples of generosity lately. As my niece puts it—you tend to become more aware of certain things happening around you when you are thinking about those things. I would agree. And maybe…just maybe…when you notice acts of kindness, you’ll be inspired to act that way toward others. Sometimes those lessons in humility or bravery or kindness come from unexpected sources. Last week I heard of two examples of young college students committing random acts of kindness. Normally in our society, college students tend to be “poor.” So their acts reminded me of what Jesus said in Luke 21: 3-4, “Truly I tell you,” he said, “this poor widow has put in more than all the others. All these people gave their gifts out of their wealth; but she out of her poverty put in all she had to live on.” I think we could learn a lot from these two young people. A friend of mine told me a story about her dauther who is a college student. It goes something like this. The next day my friend checked her daughter’s bank account to discover a balance of $11. And she just spent $7 of it on a poor woman she didn’t even know. My niece told me the other day she encountered a homeless man who asked her for some money. She told him she didn’t have any but she could use her bank card to buy him lunch at Starbucks across the street. He declined showing her a lack of teeth and inability to eat real food. He then asked her to go to the CVS to buy some Reese’s Pieces. You are probably thinking what I thought at this point—the man is failing in the mental health department. Yes, he was ill, but that didn’t stop my niece from going out of her way to find some cash for him. She returned to the man and handed him some money for lunch. After pulling a secret agent spy-like maneuver, he left. Wow, what can I say? Both these young women don’t have much financially but they gave of themselves. They gave time and respect to two human beings who needed love and support from those of us who are blessed with so much. I think most of us would have hurried on to what we thought was more important and rationalized not helping them. But the truth is, these two human beings were much more important than getting home faster or to an appointment on time. Do you have any stories of generosity? Share them and help us inspire good deeds everywhere. And if you want some creative ways to share your blessings during this time of lent, check out 40 acts. We love creativity and sharing and this is right up our alley! 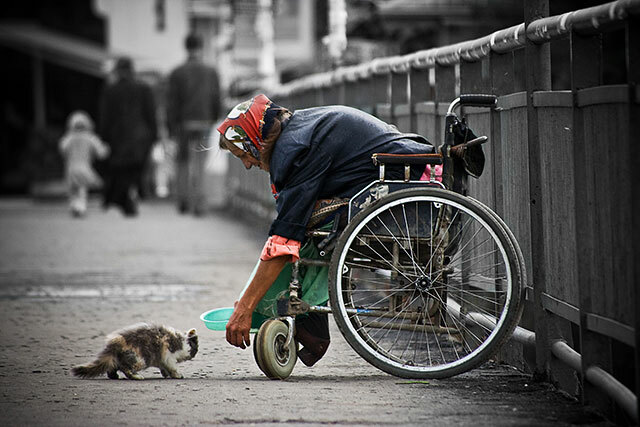 Whoever is kind to the poor lends to the Lord, and he will reward them for what they have done.